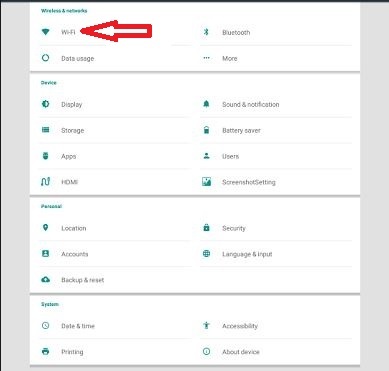 Setting up an internet connection for your i3Display panel or devices is a must to proceed to the next level; which is device registration with product key after downloading the installer. *Select WiFi on device setting. *Select available signal to connect. *Select MORE on device setting. *LAN Connection succesfully connected once this logo appear.